I don't often talk about specific issues with my kids on this blog preferring instead to tackle general topics which could benefit everyone. (and of course, I try to protect their privacy a little). I'm going to make an exception in this case because it illustrates perfectly some of the issues and decisions which parents of special needs children face all the time. My eldest son, aged almost 12, is in year six, his final year of primary school. He's been in "special needs" since kindergarten seven years ago and on ritalin almost as long. Over the years we've had our share of school issues, both social and academic and it takes each new teacher nearly an entire year to understand him. It was always our hope that one day, when he was old enough to "self-regulate", we could ditch the ritalin and I think that we all expected him to be off it by now. There have been many times over the years when we've forgotten the ritalin (or run out). Usually in those cases we get a call from the school pleading for him to be medicated. The behavioural change really is that noticible. Of course, throughout most of this time, he's been off the Ritalin during the weekends - except when he really needs it, such as when he's at tutoring. I've noticed big social differences without Ritalin on weekend scout camps. He's usually still a little medicated on Saturday but by Sunday he's entirely off the medication. He becomes disorganised, impulsive, defiant, outrageous and funny. I noticed on one camp that the other kids had issues with his Jekyll and Hyde style personality differences and I took the unusual step of sitting a few of the smarter kids down and explaining why. Interestingly, this changed the attitudes of the whole pack towards him and he became much more accepted. Recently, we ran out of Ritalin and he was off it for a couple of weeks. We finally managed to get more but at the parent-teacher interviews a week or so later, we were told that "he's better without it". Apparently he's far more social and interactive when he's off Ritalin. That much I'd picked up from the camps. The teachers said that when he was on ritalin, he didn't interact much but when he was off it, he would be walking "arm in arm with girls". They also told us that when he was on ritalin, it was a struggle to get him to do anything in terms of work and class participation but when he was off it, it was hard to get him to "shut up". They preferred the latter state. It was all going really well and we were pretty much convinced until I asked about his academic performance. I was stunned by their reply; "well, he's not learning anything anyway". Our weekend tutor however was not happy. Her focus is academic, not social and she's a critical part of my son's learning. We've often said that he learns more in an hour per week with her than he does in an entire week of school. Not only was he extremely unsettled but there were tangible measures too. He took twice as long to read a regular (timed) passage and retained considerably less information about it. It seems that there's no one winning formula but that we have to adjust the dosage independently for different activities. At this point, we're considering a much lower dosage for school (or none at all) and a "normal" dosage for tutoring. We've also asked that all playground and bus-duty teachers be informed that he won't be as "in control" of his impulses as usual. It's tricky but I'm much more worried about next year when he will be at a new school and with a different teacher every hour. Are they going to be able to reach a consensus (medicated or unmedicated)? We were just at the doctor today for the 6 month ritalin evaluation. I always ask his teachers to let me know how they think he is doing in class - to let me know if he is a zombie or unfocused or whatever. We don't use it on weekends or during the summer. As for the transition next year, we are going through that now. So far, it has been smooth. We went through a lot of preparation at school before the year started. Meeting with office staff, meeting with his teachers. So far, so good. I want to thank you for your blog. It was the first AS blog I started following and you have been instrumental in helping me understand what is going on in my child. Thank you! I love your blogs, as I have a 14-year old Aspie son who just started high school this month. But I thought that your son was Aspie as well, so I was confused by the Ritalin, which is for ADD. I personally take Adderall XR because I have adult ADD, and since beginning it last year, it has made a tremendous impact on my work and home life. BUT, my son was on it (and Ritalin, and Strattera) during 2nd/3rd grades, but it did NOTHING to help him with his social issues and/or emotional ups and downs, and quite honestly it didn't do much for his school work either. So in 4th grade, his dr took him off the ADD meds, and put him on a mood stabilizer. He literally went from being in 4th grade and almost totally illiterate, to reading chapter books within THREE WEEKS. And not just any chapter books, but science books about minerals with words like calcification, my husband and I were in shock the night he sat down and read 11 pages out loud. I literally went and picked up the bottle and kissed it -- the ability to read was ALWAYS there, but he was so stressed out he could never get past the stress and actually read. For the past two years, he takes what is known as a "bipolar cocktail" -- an anti-anxiety (Lexapro), and an anti-convulsant (Lamictal, used to decrease times between mood swings), and an anti-psychotic (Seroquel XR, which helps to restore the balance of neurotransmitters in the brain to stabilize moods). This has been the best combo for him, and a lot of the Aspie kids whose parents are in my online support group here in LA (for parents of Aspies) also take similar Rx cocktails. The mood stabilizer or anti-anxiety meds seem to work the best for Aspies, so the kids aren't so stressed out over the smallest of things like noises, smells, kids being too close to them or trying to be friendly (my son calls this being annoying instead of friendly! ), etc. So, take it from someone who DOES have ADD, and takes ADD meds and knows that if you truly are ADD and take the ADD meds, it works like a charm (and makes me wonder how different my life "woulda/coulda been" if I'd had Adderall as a teen/young adult!). BUT, if it's a misdiagnosis then the ADD meds aren't going to work like they should. Just like my son, who was diagnosed with ADD in 2nd grade, then several years later they realized it wasn't ADD at all, but Aspergers! I'd suggest trying a mood stabilizer or anti-anxiety med, and I'll bet you'll see his emotional level even off some. :) Hope this was helpful! I just wanted to say something about a misinformation on this post, a child can't learn how to control something that he is being medicated for control. Two examples, if a child is drugged to control aggressivity and anger that child will not develop anger and aggressivity control or any emotional regulation, if a child is drugged to sleep she will hardly learn the natural mechanisms to sleep but since sleep depends less on things people learn as children it's not so difficult as emotional regulation. Many autistic people don't learn the necessary skills they need as adults, like controlling and learning their emotions, because they were drugged with medications that controlled those things for them. If a child always takes something for aggressivity and stops as an adult he can become more aggressive because he will never have learned how to manage feelings. Medications stop autistic people from learn the emotional regulation skills they need because it's the drug that controls the emotions. Just writing this because you believe your child will learn to self-regulate while on drugs but that can't happen since he is medicated with things that manage things for him, he can't learn to self-regulate if he doesn't use, test and naturaly develops the skills to do it. There is evidence that when adults that always took medications stop taking them they will be stucked on early emotional states of development, even going through puberty and having problems related to developing sexually too late, the emotional skills of a child or teenager on an adult, for autistic people that's even more complicated since we learn differently. I think that's why many insist that meds should be used in children only to make the child's life easier if the child is suffering and not to make the child easier for the adults that work with them since that's make the child stop learning important things like emotional regulation. Self-regulation doesn't come with age but with learning skills and testing them in a child's development. First of all, there is no medication for autism, so autistic people have no need of medication. Medication is only used to help keep co-conditions, such as ADHD under control. Secondly, while I hear what you are saying regarding the reduced ability, Ritalin isn't a drug which removes choice altogether. It simply gives the child a little more time to process their responses. Without Ritalin, my son is at the mercy of his impulses. With Ritalin, he is still able to choose right or wrong responses but at least he has time to consider the consequences. In that sense, it helps him learn to self regulate as he's building up a series of acceptable "automatic" responses. The hope is that once he's off Ritalin (or on lower dosages) he will increasingly rely on past experience to resolve issues. Have you tried caffeine with your son? Teachers often give Mello Yello or strong coffee to children who are ADD or ADHD and are not on medication. Caffeine doesn't last as long as Ritalin (or, IMHO, have as many side effects). That was about the age, or a little earlier, that our youngest boy stopped taking Ritalin. All of our boys took it at about the same age, but stopped at different ages. I found your blog just the other day, and I have a question. Since you are Aspie, how did you know your son was ADHD and not Aspie? That is a relatively new diagnosis here in the U.S.
We can see several symptoms of Aspergers in our youngest (now almost 25); and wonder if that might have been a more appropriate diagnosis when he was much younger. They are symptoms we now realize he has had all his life. My son was first diagnosed with ADHD (Inattentive). Back then it was simply called ADD. He received his Asperger's diagnosis a few months later and we talked to the Doctor about whether or not it replaced his ADD. He told us that it supplemented it. My son also received a diagnosis of NVLD (Non-Verbal Learning Disorder) - Essentially this means "a learning disorder which isn't related to speech". The layman's term for this is; "Learning Difficulties". You'll find that Asperger's syndrome comes with a whole host of co-conditions which vary from one person to another but are essentially "lite" versions of real disorders. For example, many people with Asperger's syndrome show signs of OCD but only some of them show signs which are excessive enough to impact their quality of life. Those whose co-conditions impact their quality of life are said to have the condition while those who simply have strong preferences for structure and order are said to have a co-condition. I hate any type of medication that claims to help with aspie and ADHD symptoms. Since my diagnosis in the 1-2 grade (im almost 19 now so it hard to remember exactly when) I have been on either ritlen or concherta (mostly concherta) for my violent mood swings and subsequent acts of aggretion. My first problem is that it didn't do much to stop these acts in fact all the good it realy did is improve my grades. But for that i had no meaningfull freindships through most primary school and junior high. It was only when i stoped taking it that i noticed i was developing emotional mecenisims to halt the aggretion before it got serrious. Now 2 years after quiting i find myself stoping conflicts arising with my small group of freinds. I find that these medications dont stop attention lapses or aggression they alow it to bottle up and become worse. One of the the things that stops me when i become aggressive is remembering the worst case when i hit my now ex. Teachers actualy called this my best year because that was my only incident and subsequent suspention. However it is this incident stops me when im at my worst. It is only now that im unmedicated that i can learn from my mistakes and feel guilt for what i have done. Of my soon to be 19 years i have lived 7 because there have been 7 years where i have been without medication. 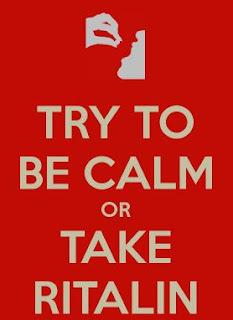 I think the problem begins at the early school level where we have one teacher managing 30-50 5 year olds, this is where they get the need for children to be calm. Really tho, you wouldn't entrust 30 toddlers to one daycare provider so why 30 5 year olds to one teacher? It's not a healthy environment for either teacher or child. But as evidenced by your sons experience with learning either with or without ritalin in those larger class sizes, it seems clear to me that he would benefit most from a much smaller class size similar to a tutoring session, say five students per teacher/tutor. I'd suggest homeschooling, but too many parents take that to mean that they alone should teach the kid.